We all have Roadrunners around our homes in the Foothills. 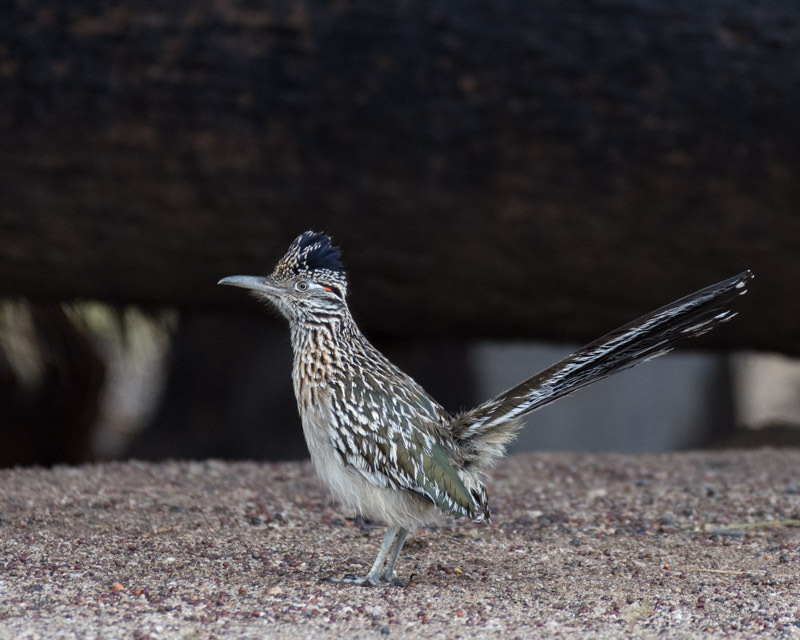 I saw a Roadrunner was walking along the sidewalk one morning at Agua Caliente Park, so maybe a ‘path-walking’ bird rather than a road-running one? A bit later, an Ornate Box Turtle was seen, not walking on the same path. He went into his protective shell while we checked each other out. 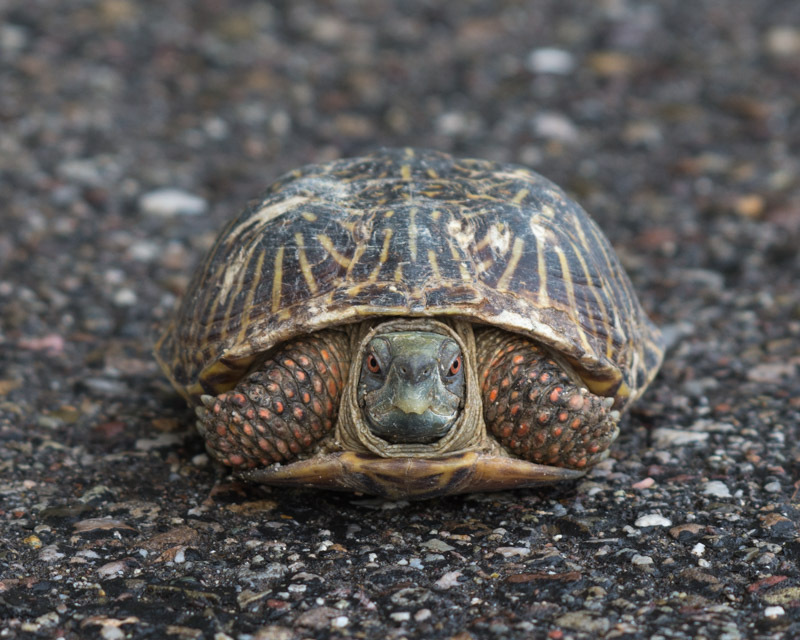 Ornate box turtles have those radiating yellow lines on their shells. Other than the desert tortoise, these are the only land turtles native to Arizona. 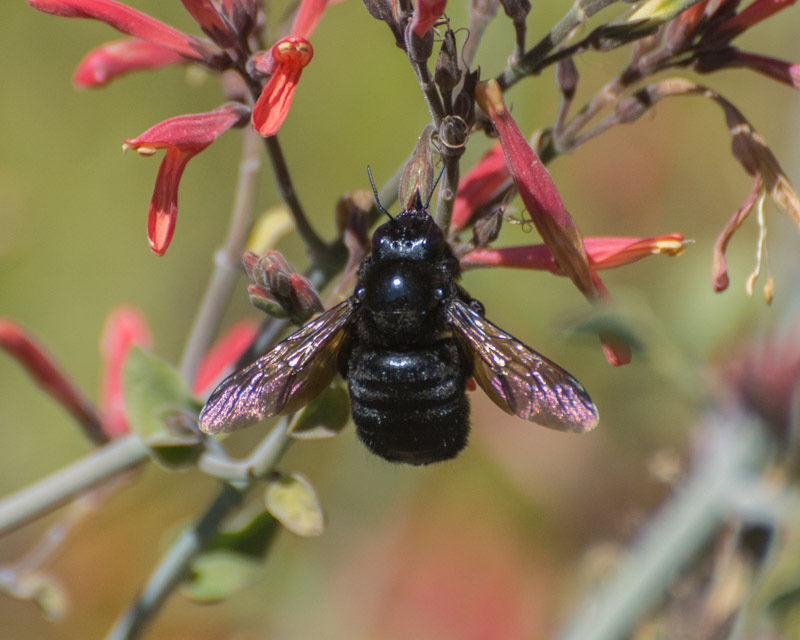 Those orange/red eyes let us know this is a male- female’s eyes are more yellowish. 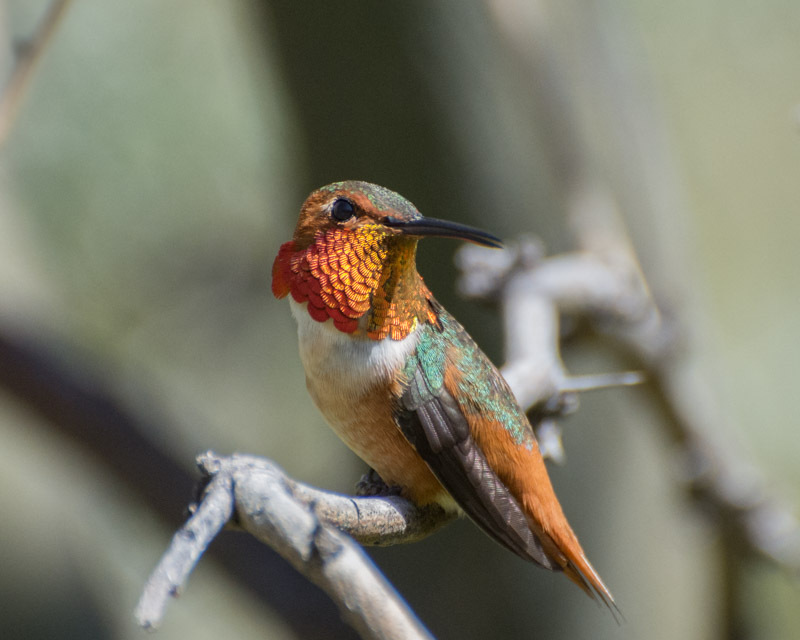 While not seen in the Foothills, it is a unique resident of our desert. 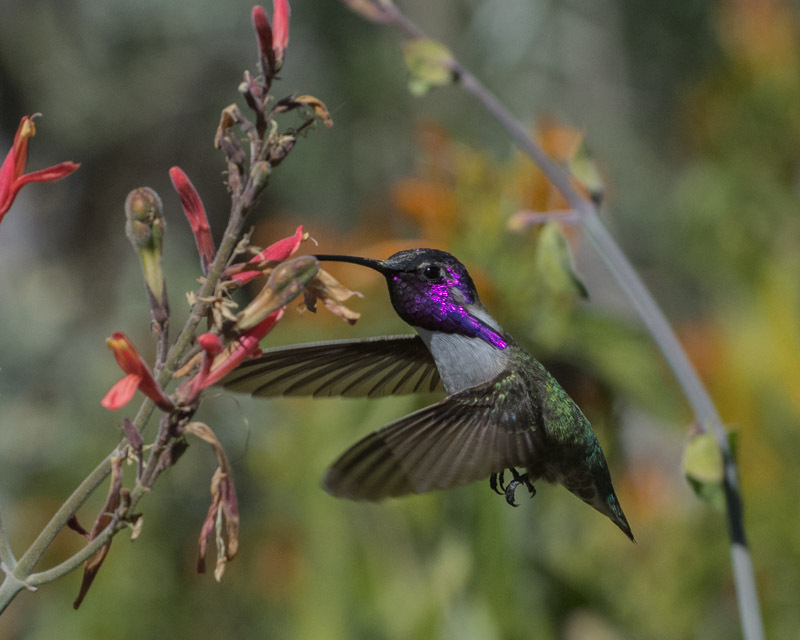 Also feeding at the Chuparosa flowers was a Costa’s Hummingbird. It’s feet are at rest. 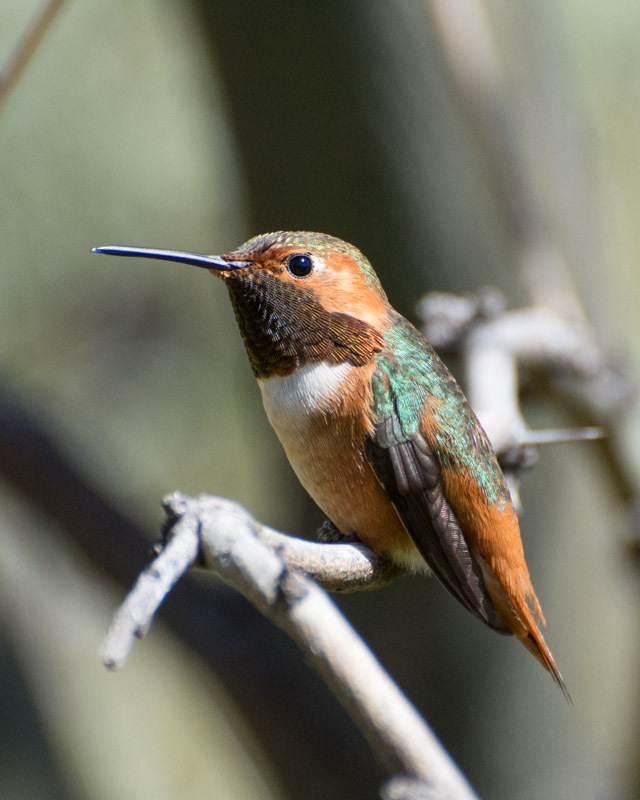 These are common hummingbirds of the Foothills. 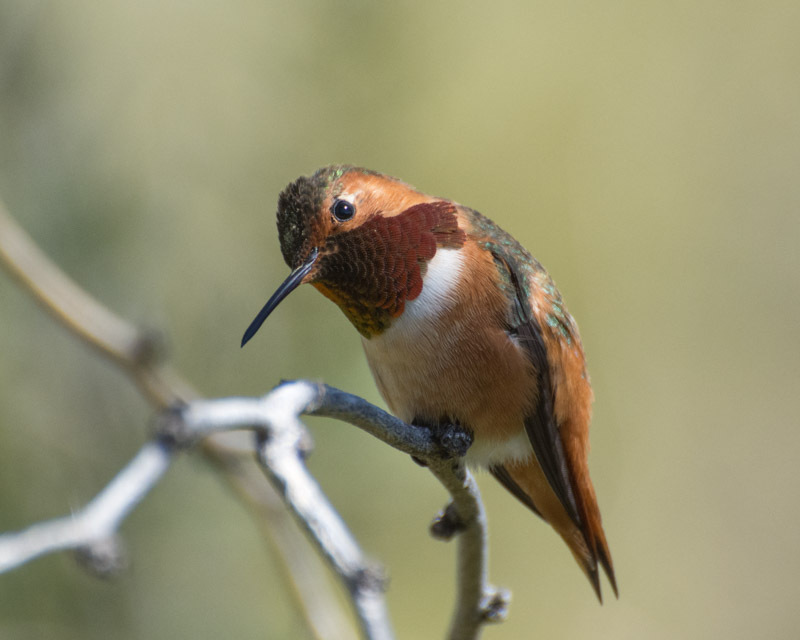 The Allen’s Hummingbird continued to hang around for another week. I believe it has left the area at this time. I couldn’t resist spending more time observing this special bird. Feeding in the Honeysuckle plant. On Sundays, I always go to the Farmer’s Market at the Historic Rillito Race Track for my favorite tomatoes. 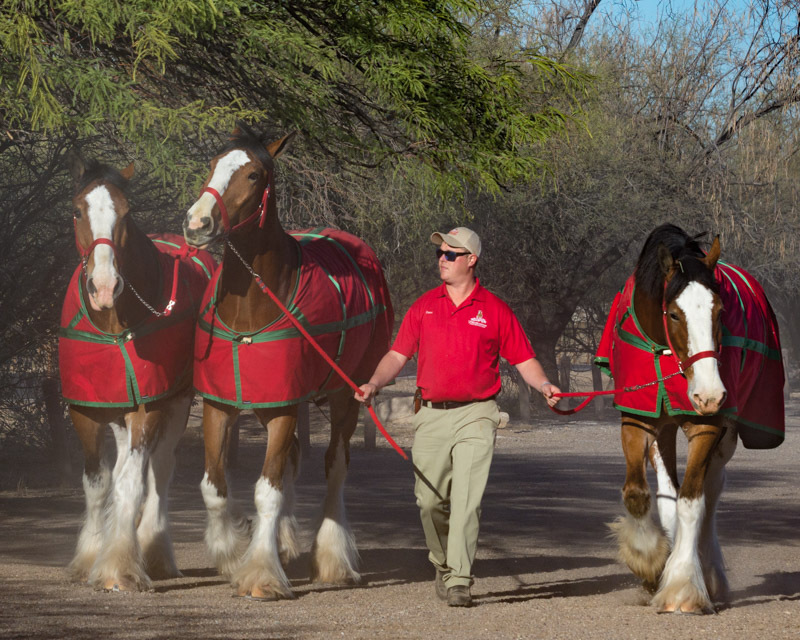 This week, a team of the Budweiser Clydesdales were there for a special event. 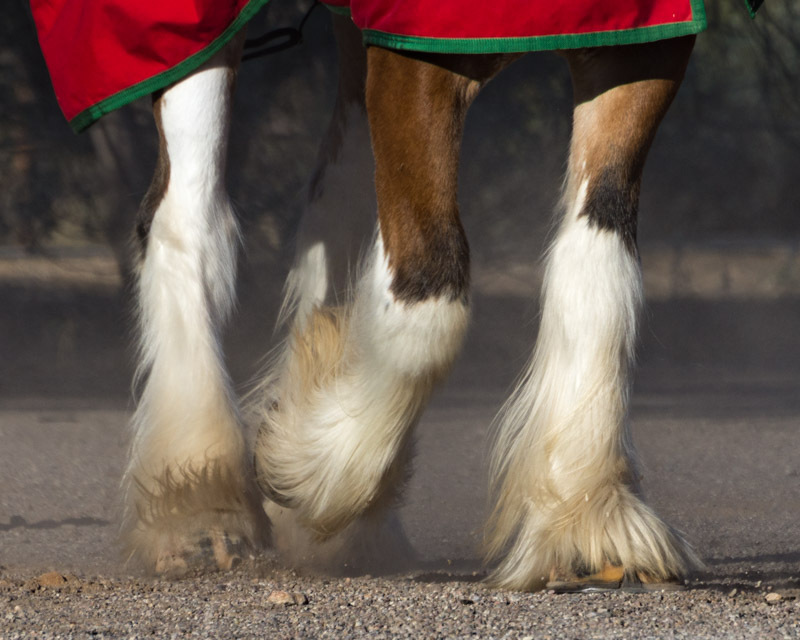 Before the Farmer’s Market opened the horses were being exercised and were walking around the dirt parking lot. 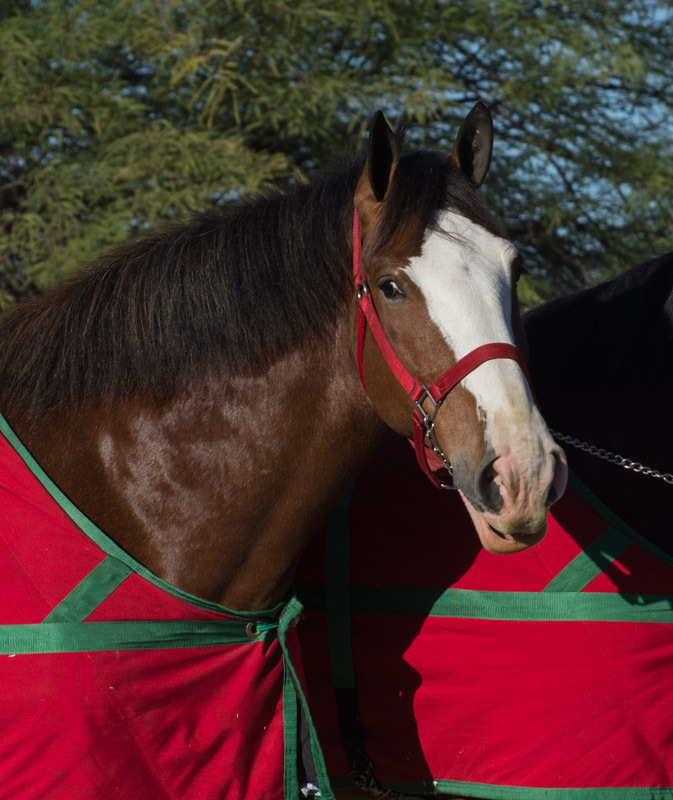 These are magnificent horses. One spirited team was kicking up dust along the Rillito River Park Trail. Finally, the Parry’s Penstemon are flowering now. 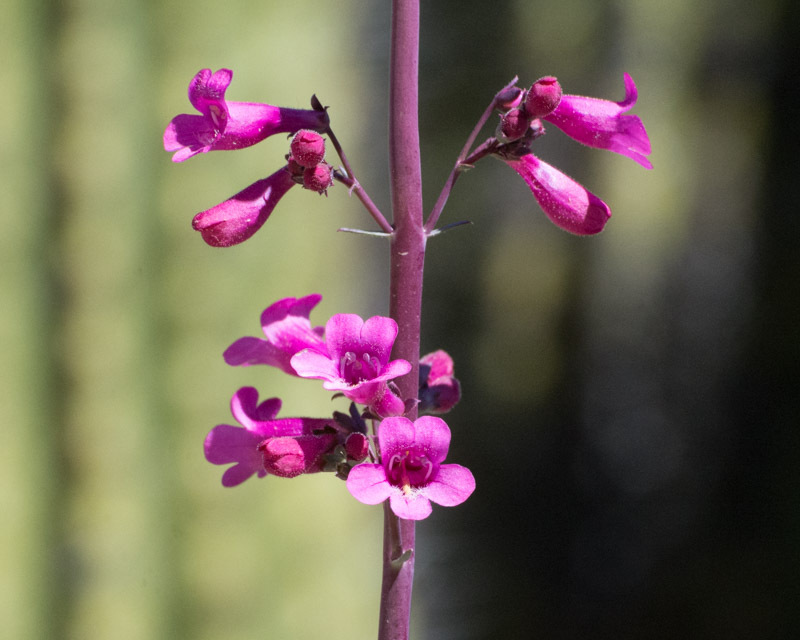 This is a perennial desert plant that can survive on the scarce annual rainfall in the Sonoran Desert. 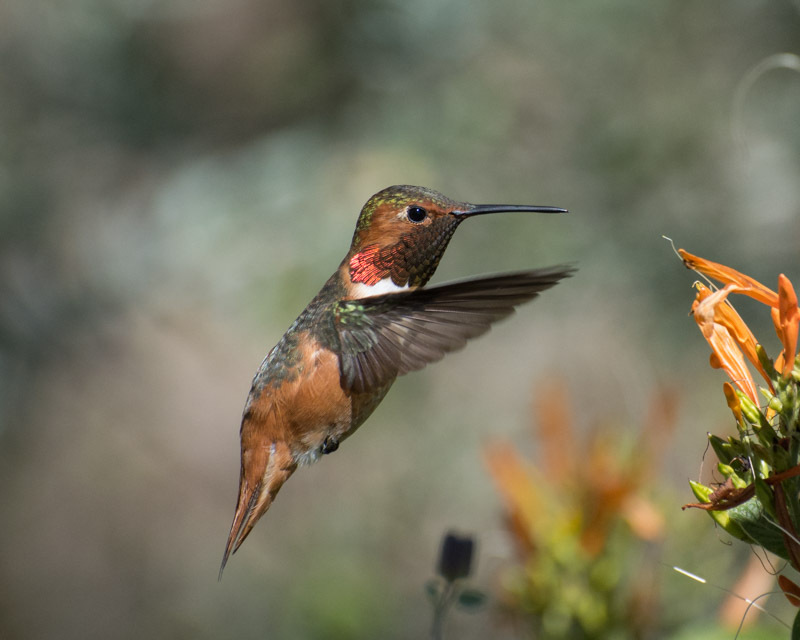 The spring flowers are splashy and attract hummingbirds. Here are flowers in front of a Saguaro Cactus.